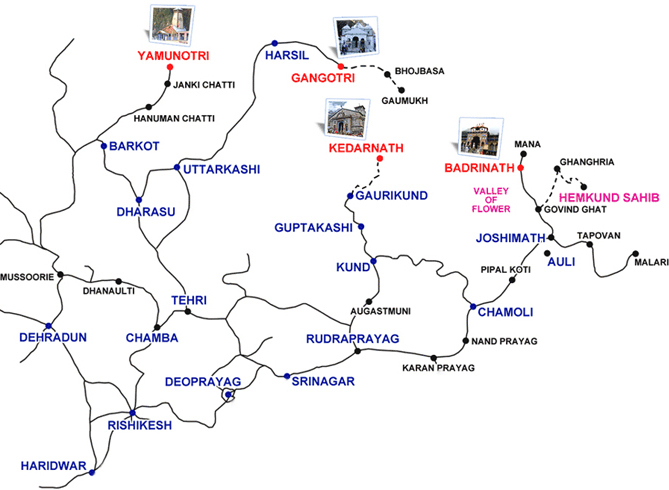 According to Hindu Mythology, auspicious yatra of Chardham should be undertaken from west to east in clockwise direction. This means Yatra start from Yamunotri, then proceeding to Gangotri Temple, Kedarnath Temple and terminates at Badrinath Temple. 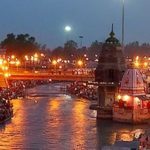 According to Hindu Mythology, auspicious yatra of Chardham should be undertaken from west to east in clockwise direction. 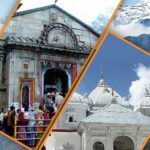 This means Yatra start from Yamunotri, then proceeding to Gangotri Temple, Kedarnath Temple and terminates at Badrinath Temple. 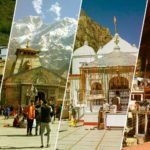 CharDham Yatra is the most popular spiritual yatra starting from April-May and continues till Oct-Nov every year in Uttarakhand, India. 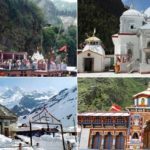 Now Uttarakhand is also trying to promote Winter CharDham Yatra, which will include Kharsali, Mukhba, Ukhimath and Joshimath.